Leveraging data science tools at a start-up to drive product-led growth by collaborating with Finance. Credit: Periscope Data. 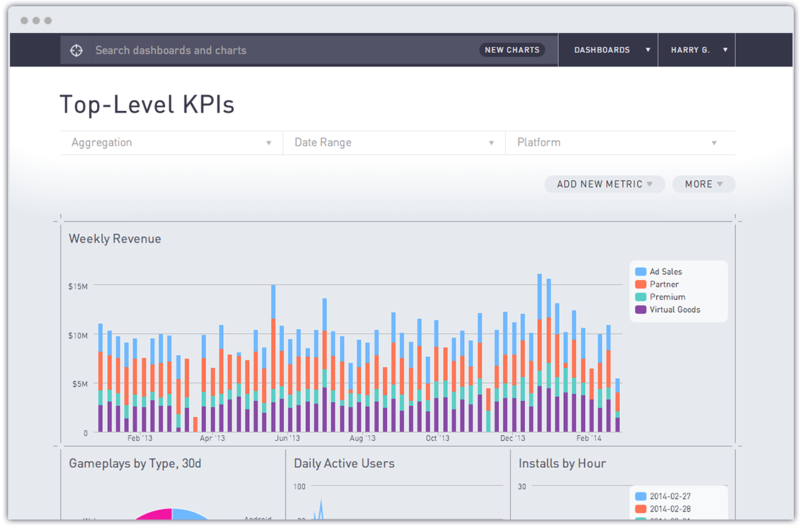 BI dashboard with dynamic filters. Note: this post, originally covered on my blog here, was written while I was VP of Product at FloSports. The goal is to show how the right data science tools and an understanding of fundamental business drivers can support collaboration between product and finance to accelerate product-led growth. At the time of original publication, we were a Series B sports technology company that had nearly 25 different sports at various stages of their life cycle. One new initiative that I spearheaded at FloSports is what I call a “Data Informed Rolling Forecast”. In this post, I walk through at a macro level how this was accomplished and how Periscope Data was invaluable in helping us achieve a pacing dashboard — with limited to no engineering time required. Aggregate Fact Tables. Given the range of our sports and plan offerings, queries could become rather complicated, especially for sports with multi-year histories and lots of activity from both new and existing subscribers. Given this, our most common reporting use cases were generally converted into aggregate fact tables. These often combined two, three or more different data sources. We built aggregate fact tables for key performance metrics including subscriber waterfalls (monthly grain) and payments (daily grain). Leveraging these data rich fact tables and a flexible BI tool like Periscope Data, we were able to create a historical benchmarking dashboard, filterable by sport. We provided this to relevant business stakeholders, who could request data based on select filters and download CSVs to load into financial models. Given the reality that we had 25 sports, one of my primary goals in building our bottoms-up financial forecast model for each sport was to make the model dynamic and flexible. This facilitated limited, if any, rewiring of the model for each sport as the model flexed different launch dates and historical performances, e.g., sub retention, for each sport. The model’s flexibility is generally accomplished by determining which input drivers require dynamic formulas; in this example, inputs such as vertical launch month, last month of actuals, and date quarter starts allowed me to key the model off of the unique aspects of each sport. This also allowed me to tailor the model to each sport’s history with minimal manual rewiring. Example Control Sheet with Dynamic Drivers by Business Unit (sport in our case). A pacing dashboard that provides insight into how the sports are pacing versus forecast, including net revenue, signups, subscribers and churn. I’ve written about Periscope’s data cache before, and it proved to be extremely helpful in this case. We used Periscope’s data cache in several ways. As one example, we accomplished cross database joins — one source in MySQL, another in Postgres, and a third from a flat CSV file. By combining these disparate sources, we created a robust, no data engineering required, dashboard. This dashboard satisfied one of our sports’ subscriber attribution reporting requests in probably 1/20th the time it would have taken to incorporate this our proprietary ETL workflow. Periscope’s Cache was also helpful in enabling us to quickly build proof of concepts (POCs) for new data sources and receive feedback from business stakeholders; we always built these before requesting data engineering to add new data sources into our ETL workflows. Furthermore, for the business users who are less familiar with requesting their current state data processes to become a part of our ETL and BI reporting processes, Periscope’s cache gave us a low-overhead way to prove out their reporting ideas. After iterating on POCs and then ensuring requirements were ready, this increased efficiency for engineering to understand how to model the data and incorporate the new source(s) into our overall warehouse workflow and schemas. An event exceeded its signups forecast by 1.5x; did we see better conversions through the live event funnel? What content seemed to work well in influencing visitors to convert to paid subscribers? We saw higher retention than forecast; what is this sport doing well, is it transferable to other sports, and how do we do more of this? Example of Pacing Dashboard tracking overall signups relative to forecast and trend by week intra-quarter. I love this type of work because it combines my financial modeling background with data analytics. It’s also gratifying to see that hard work in defining and validating business logic and getting your data strategy right can really support product-led growth. And the folks at Periscope Data were great partners along the way and ultimately were the reason that this highly iterative, low overhead approach was possible! If you enjoyed this post, it would be awesome if you would click the “claps” icon to let me know and to help increase circulation of my work. Feel free to also reach out to me on twitter, @kevinboller, and my personal blog can be found here. Thanks for reading!